They oranament a table over and above their intended use. Each item is an analogy to nature and the result of single gestural movement. The vases are fired using the raku technique, the resulting surface reminiscent of geological strata suggests the ancient emotional impact of their material. 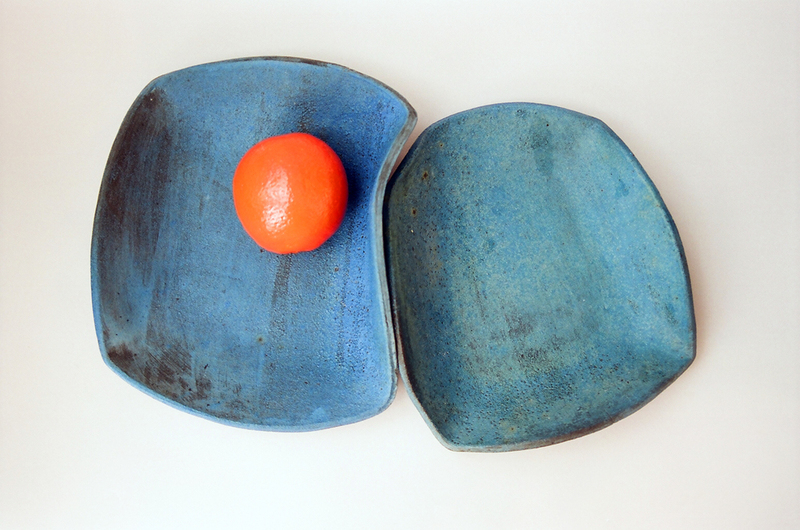 The multi-part dishes are hand formed to fit together, giving them stability and balance on a surface. The vases and bowls are folded from sheets or thrown from chamotte clay mass. The vases are fired using the raku method in reduction atmospheres, the bowls in oxidation atmospheres.